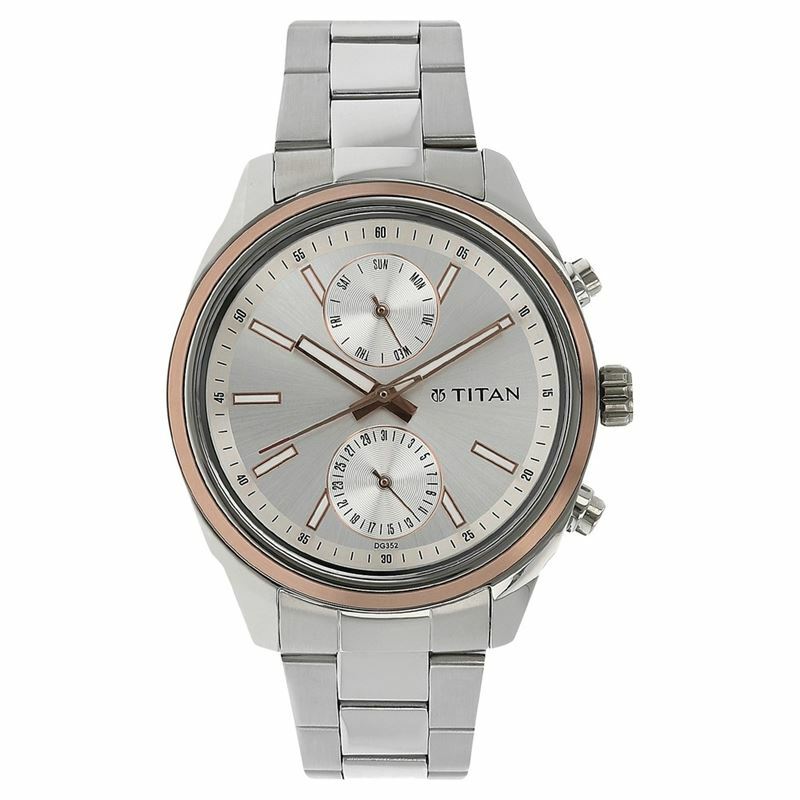 This multifunction watch for men features a silver round dial, encompassed within a metal case. Plain three hands on the dial ensure easy time reading. It has two separate stick indicators on the dials to show the day and date. Made of metal, the silver strap comes with Z clasp. Three silver crowns lets you adjust the time, day and date. Equipped with 5 ATM water resistant feature.